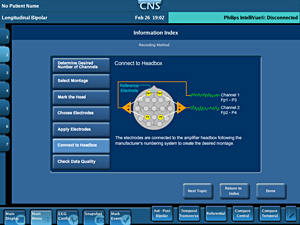 The Component Neuromonitoring System supports the front line of care with intuitive displays, convenient access to prior data, and instructional tools. 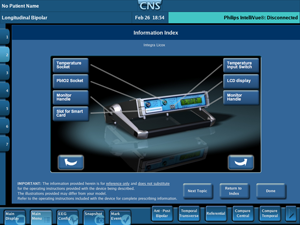 Data collected by the CNS Monitor from various physiologic monitors and therapeutic devices is time-synchronized and integrated on customized displays. 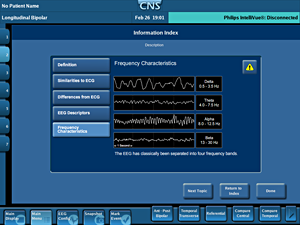 Displays that show multiple measurements provide a better picture of brain status by revealing relationships between the metrics. 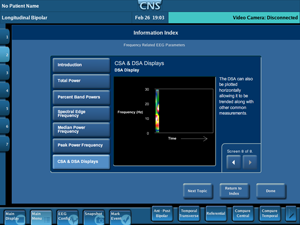 Trended displays allow you to see and track changes over time. 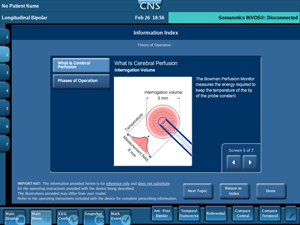 These insights empower you to make more effective decisions about patient care. 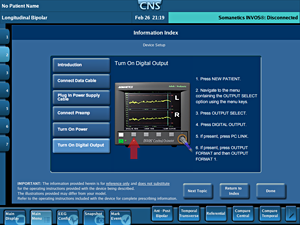 Read more about CNS Multimodal Monitoring. 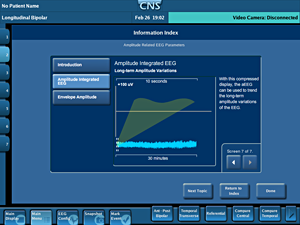 The Component Neuromonitoring System (CNS) makes it easy to record, view, and share meaningful information. 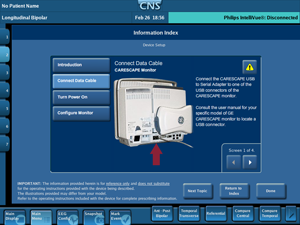 Point-of-care instruction provides tutorials that clearly explain how to set up the CNS Monitor and connect external devices for data collection. 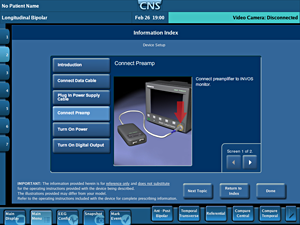 Once the devices are connected, you no longer have to worry about missing measurements because all the data will be recorded by the CNS Monitor. At any point during monitoring, you can review prior data, comparing them to the patient’s present status and visualizing the responses to treatment and care. 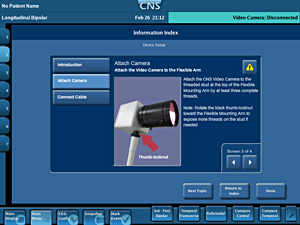 Events can be marked in real-time or retrospectively for review by any user. 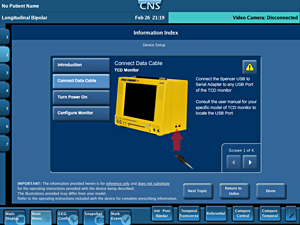 Screen shot images can be archived on the monitor and saved to a USB drive for sharing with colleagues. 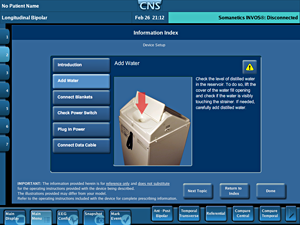 These features of the user interface simplify communication and consultation in your busy hospital. 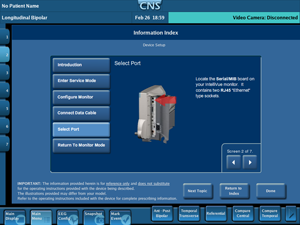 Embedded multimedia provides learning opportunities for users with varied backgrounds and skills. 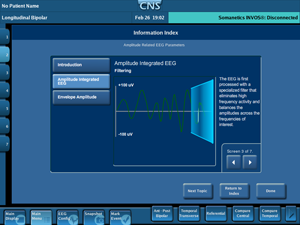 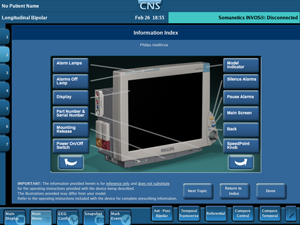 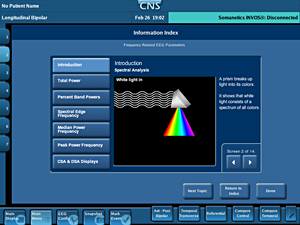 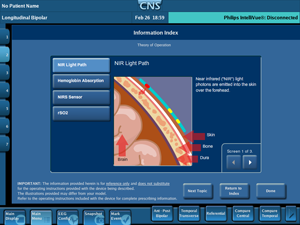 Use the CNS Monitor to learn theories of operation of the connected devices, or take a mini-course in EEG. 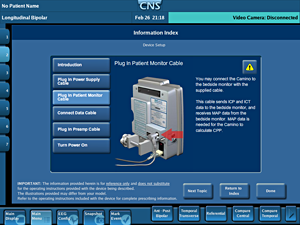 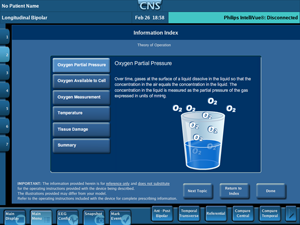 Read more about CNS Monitor ease of use. 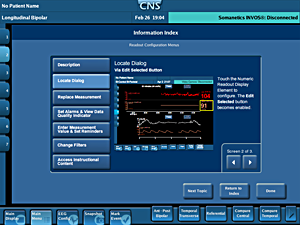 "The future of multi-modal neuromonitoring lies in the ability to capture, store, and analyze multiple parameters in an effort to improve patient outcomes. 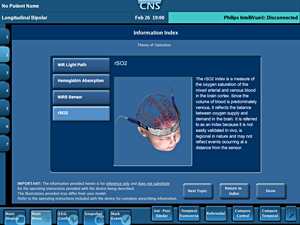 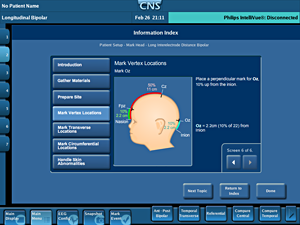 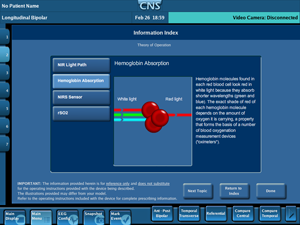 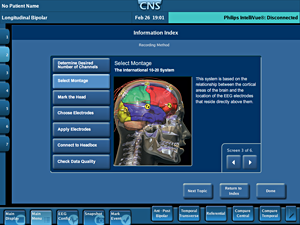 The CNS has unique features including multi-parameter data display and trending on a single screen, real-time and retrospective data review, clinical event markers, educational tutorials, and video EEG monitoring. 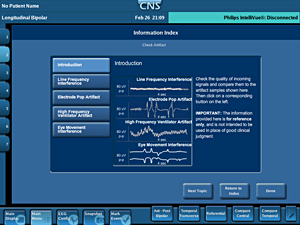 This state-of-the-art technology has become a standard of neuromonitoring and data collection in our Neuroscience ICU."